In 2010, the ever-prolific ant photographer and notable myrmecologist Alex Wild proposed the Taxonomy Fail Index to quantify error in the identification of organisms. He was inspired by the apparently commonplace idea that cochineal dye is derived from beetles, which, to paraphrase a Krutabulon saying, is total gorgon frass*. Wild proposed the following formula: TFI (Taxonomy Fail Index)=T/H, where T=the period of time since the last common ancestor of organisms A (actual taxon of organism in question) and B (taxon as which the organism in question has been misidentified) lived, and H=period of time since the last common ancestor of humans (Homo sapiens) and chimps (Pan spp.) lived. The periods of time in question are estimated from TimeTree. Of course, these data (compiled from multiple sources) are subject to revision, hence the divergence between Homo and Pan as an anchor: regardless of changes in divergence dating, the error of identifying Sarah Palin as a bonobo (to use Wild's example) will always have a magnitude of 1.0, barring revision to hominid systematics. The limitation of the TFI, as I see it, is that it provides no means of communicating relative error. The TFI of mistaking a honey bee for a hornet, for example, is 24.4: a number that is uninformative in and of itself. One can contextualize this error's magnitude by saying that it is slightly more stupid than mistaking an opossum for a cat (TFI=23.9), as Alex Wild did, but I would prefer to scale the TFI in some fashion. To do so, I calculated the TFI of the most egregious possible Taxonomy Fail: conflating organisms at opposite ends of life's phylogenetic tree. My exemplar was the TFI of identifying Streptococcus sp. as a human being. This comes out to 645.1. The domain Bacteria (Woese et al., 1990) to which Streptococcus belongs is regarded as the sister group of the remaining two domains (Ciccarelli et al., 2006), one of which includes H. sapiens. Theoretically, then, as there is no higher taxonomic rank than that of the domain, 645.1 is the highest possible TFI (barring revision of our notions of life's fundamental phylogeny, which appears improbable at this point). As such, I choose to calibrate the entire Taxonomy Fail Index to the above value. One could divide this value by 100, each unit on this Taxonomy Fail Scale being a Wild. Thus, misidentifying any bacterium as any eukaryote or vice versa equals 100 Wilds on the TFS. Therefore, a single Wild equals a TFI magnitude of 645.1/100=6.45. With the TFS, we can not only calculate taxonomic error, but provide an inherent comparison between these calculations. To wit: identifying Sarah Palin (or any politician) as a bonobo, or identifying a bonobo as a politician, amounts to 0.155 Wilds on the TFS. For comparison, classifying a xenophyophore (a derived group of gargantuan foraminiferans; Pawlowski et al., 2003) as a sponge (Haeckel, 1889) equals 38.7 Wilds on the the TFS, making this identification one of Ernst Haeckel's more profound mistakes and perhaps the greatest Taxonomy Fail ever to be published under peer review. 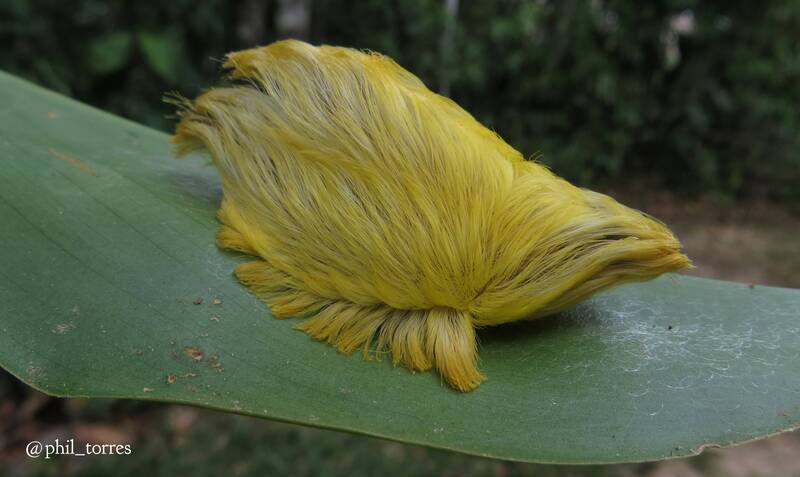 The implications for public discourse are profound: for one thing, misidentifying a megalopygid caterpillar as Donald Trump's hair (18.6 Wilds) is roughly 2 times less erroneous than calling a xenophyophore a sponge. *A turn of phrase that presupposes gorgons are herbivorous. Ciccarelli, F. D.; Doerks, T.; von Mering, C.; Creevey, C. J.; Snel, B.; and Bork, P. (2006). Toward Automatic Reconstruction of a Highly Resolved Tree of Life. Science, 311(5765), 1283-1287. Haeckel, E. (1889). 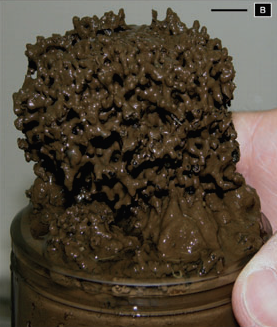 Report on the deep-sea Keratosa. Report on the scientific results of the voyage of H. M. S. Challenger during the years 1873-76. Zoology, 32 (pt. 82), 1-92.
phylogeny and elemental analysis. Zoological Journal of the Linnean Society, 156, 455-464. Pawlowski, J.; Holzmann, M.; Fahrni, J.; and Richardson, S. L. (2003). Small subunit ribosomal DNA suggests that the xenophyophorean Syringammina corbicula is a foraminiferan. Journal of Eukaryotic Microbiology, 50, 483-487. Woese, C.; Kandler, O.; and Wheelis, M. L. (1990). Towards a natural system of organisms: proposal for the domains Archaea, Bacteria, and Eucarya. Proceedings of the National Academy of Sciences of the United States of America, 87, 4576-4579.